Success – another great event! 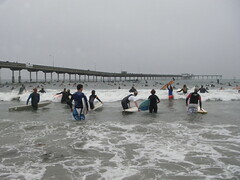 Big thanks to everyone that came out on Sunday to participate in the 19th Annual Paddle For Clean Water in Ocean Beach! Extra thanks to Clif Bar, other sponsors and the volunteers that made it all possible. Click Here for some photos from Joe Ewing. and Click Here for some more photos. Click Here for an article that was on the front page of the U-T’s local section. and Click Here for video from a channel 8 news story on Sunday. We are already looking forward to the 20th Annual Paddle For Clean Water in September 2011, see you there!